Okay, so this newborn baby girl is crazy beautiful. She was scheduled for a one-on-one mentoring session. I saw a photo of her before I met her and couldn’t wait to get her in here! Can you believe all this hair, so amazing. She is the first girl out of five kiddos, so no doubt she is a true princess. Good grief, I could have kept her. Although, I have a feeling her brothers wanted her back. It’s always fun meeting parents who have other children that are all the same gender and then baby throws them for a loop. She will be very well protected with all those eyes looking out for her. It was so hard to choose my favorites from her session as they are all perfect and gorgeous. Geez, I am jealous of this hair and skin color. She is one of those lucky babies that looks great with any color. Her tone is just beautiful. Her mom and dad kept warning me that she has a stubborn streak but she was so sweet and great to pose. In all honesty, she didn’t need any accessories. Her hair took care of that and looks perfect in every photo. Don’t get me started on the lips either. Those are just the right amount of cute baby lip plumpness. Dad better watch out for her, the boys will be lining up at her door. Sometimes when I mentor I hope that we get a semi-fussy baby so that I can teach what to do with those babes, but she gave me none. Easy-peasy she was. I’m sure by now mom and dad have the baby girl thing down and all those boys are gettin’ their lovin’ in. Thank you again for bringing your beautiful baby girl for her photo session debut. She is absolutely stunning. If you are interested in additional information for mentoring, please contact us here for more information. A Proper Idea: What Kind of Props Do You Want for Your Newborn Pictures? Don’t miss a single dimple! Catch all of my recent work by following me here. I had a great experience. She is truly a pro at what she does and a baby whisperer. Beautiful photos! Will definitely recommend her and use her services again! Hillarry is absolutely amazing! She was able to capture photos that my husband actually loved which doesn’t happen often :)Thank you for the wonderful memories captured in your beautiful photos of my family! Hillary was very professional and made my vision a reality! I did my maternity photos as well as my newborn photos through Silver Bee and I cannot recommend her enough! I was extremely happy with all of my pictures and she has a true talent for dealing with newborn photography. The absolute best!! !Not only did she capture beautiful photos of our newborn and family. She was extremely patient and kind to us. Our baby was very fussy and Hillarry remained calm and assured us multiple times all would be just fine. It takes a special heart to do what she does. We’re so thankful for her and our beautiful photos we will cherish forever! If your in the Austin area or even further out. I can assure you she is worth the effort. Thank you so much Hillarry! Fabulous experience, Hillarry is gentle and knowledgeable about handling newborns as well as a phenomenal photographer and editor. So happy with the results! I couldn’t love Hillarry’s work more. She did our maternity photos and we were so happy with them that we wouldn’t have asked anyone other than her to do our newborn session. The newborn photos turned out amazing! She has a beautiful home studio and kept our little one asleep and calm the entire time. Hillarry also sends you print quality and social media quality images which are great for sharing. I would recommend Silver Bee to anyone! Hillarry is wonderful to work with. She is professional and her communication is fantastic (usually responds to emails within minutes). Our pictures came out perfect and I could not believe how easy the entire photo shoot was. She is great w newborns and it's amazing how she's able to handle them and put them in cute little poses. Her home is inviting and comfortable...my husband actually took a nap in the waiting area while she was shooting! Ha! Highly recommend! Hillarry has an amazing skill set -- it is incredibly difficult to organize 3 newborn babies into a beautiful photo and she succeeded! Her patience is one-of-a-kind as she coaxes and soothes the babies to a peaceful state. I highly recommend her! I was so thrilled with Hillary’s work with my maternity photos as well as our newborn photos! 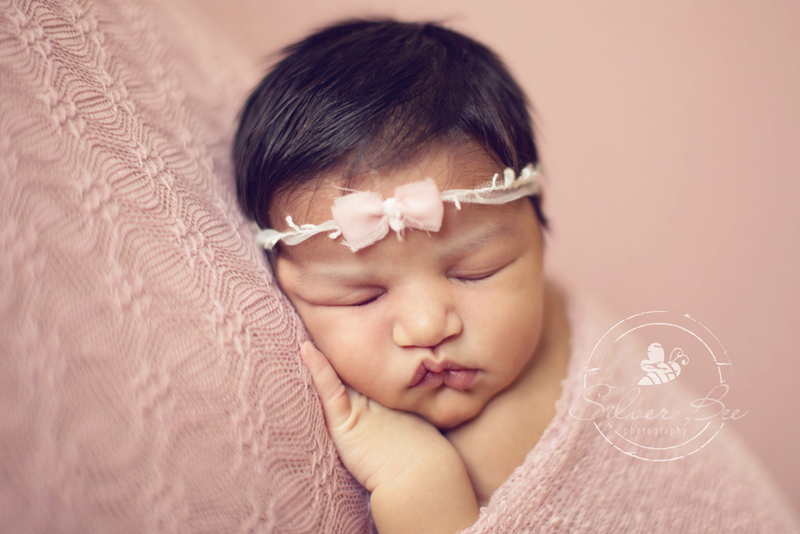 She has a true talent for dealing with newborns and pictures turned out amazing! I had a unique vision for my maternity pictures and she made the vision a reality and was exactly what I had pictured! She’s an awesome photographer and person to work with and highly recommend booking her for newborn, family, or maternity pictures! I highly recommend you contact Hillary if you are in the market for newborn photography. She is professional, kind, wonderful with the babies and does stunning work. She was able to get us in on very short notice and did an amazing job capturing the moments we want to cherish forever. Hillarry was amazing to watch during the newborn shoot. She loves what she does and it shows in her work. We couldn't be happier with our photos! Hillarry was fantastic to work with! She usually responds to emails within minutes and easily works with your schedule. Her home is very inviting and she is GREAT with newborns! I could not believe how easy the entire photo shoot was. The pictures came out perfectly and I highly recommend Silver Bee! We loved working with Hillarry! She was so sweet and patient with our little ones! We can't wait to work with her again! I highly recommend Hillarry!! She is very professional, honest and really good at listening to your vison and making it come to life! But I think the thing that stands out the most to me about her is her ability to be able to capture the pure emotion and facial expressions that babies display during that particular milestone. I love that I will forever have little reminders of how expressionate my daughter was at 4 months old. Thank you Hillarry! Hillary did a fabulous job keeping my baby boy comfortable and content. She was gentle and kind, and her work turned out beautifully! We thank her so much for the wonderful photos! What a great experience. My newborn was chosen to be a model for a photo shoot as Hillarry was teaching another photographer the art of newborn photography. As many new parents are with newborns we were running a bit late to start. Without concern hillarry accommodated us and set my husband and I up in a comfortable lounge area to wait during the shoot. She was thorough and explained the process. The room is very newborn friendly, complete with a baby shusher! If you don’t have one of these you need to get one!! Session was about 2 hours. Our photos turned out great. We are so proud to have them and share with friends and family. We will definitely schedule more shoots with her. You will not be disappointed! I highly recommend your newborn shoot with Hillarry! it was worth the long drive and lugging a newborn to her studio. She not only made me feel comfortable immediately, but taught me a few ways to deal with my baby's behavior since she is quite experienced. Her studio was calming and you actually get a break from being a mom for a while! you can nap or watch tv or observe the shoot. it was just wonderful and her photos turned out stunning. definitely an experience I am grateful to have in my memories to cherish for a long time! We just love the entire experience!!! The photos are gorgeous!!! I highly recommended!! We are thrilled with the photography and quality of photos. Hillarry beautifully captured our new born and 2 year old. I would highly recommend Silver Bee Photography! Hillarry did an amazing job and we love our little girl’s newborn photos. She made the entire photo shoot very easy and accommodating. Highly recommended! I cannot say enough about Silver Bee Photography. Hillarry is exquisitely talented! We discovered her with my son for newborn photos. We did the 1 year package and we cherish those photos. We did an additional session with my parents and one of those pictures hangs in the living room on our photo wall. Now with our daughter we have used Hillarry again and she does not disappoint. She makes the shoots effortless and easy and that can be tough with a 3.5 year old and 10 month old. On top of it all she is one of the kindest most genuine people I know. I highly recommend Silver Bee Photography to anyone and everyone!! Hillarry is absolutely amazing at what she does! She did newborn photos with both of my babies and the pictures are just perfect. I highly recommend her if you want the best quality, she’s awesome! I am so glad I decided to go with Hillarry and Silver Bee Photography for my baby's newborn photos. I LOVE the way they came out! I get so many compliments on them. Hillarry was great with my baby. She made the whole process quick, easy and comfortable! Hillarry is an incredible photographer! She is kind, calm, and very talented. We loved working with Hillarry and highly recommend her to everyone. You won’t be disappointed! Hillarry at Silverbee photography is our “go to” for our family photos. She did both of my boys newborn and milestone sessions and they were beyond perfect! Hillarry is so patient, sweet, and talented! I couldn’t recommend her more. Hands down the best photographer in Austin. Hillary makes photography sessions with babies and toddlers easy and she always is able to capture such sweet memories. After researching for a newborn photographer, we took the chance to ask Hillary to be our photographer. The photos are far beyond what we expected. They are super gorgeous and the session was fun �. Our family and friends are praising about the photos. Hillarry has been photographing our growing family for the past few years and each time we have been very impressed with her ability to capture moments we didn’t think were possible with our kids. We will definitely continue to work with Hillarry in the future! I loved seeing how creative Hillarry was with our baby girl. She had asked me if I peaked in during the photo shoot, but I wanted to be surprised. We received the photos and couldn’t stop looking at them. Just beautiful. In addition to loving our photos, she made us feel comfortable. I am post c-section and she let us watch tv and we even fell asleep on her couch because we were so comfortable and relaxed. Finally, her newborn handling skills are enviable. Our feisty daughter fell under her spell and cooperated the entire shoot. We highly recommend her photography service, our experience exceeded our expectations. Hillarry did an amazing job with our sons newborn photos. We couldn’t have asked for a better experience. She was so easy to communicate with and we highly recommend her! Loved Hillarry's work!! Her samples were dynamic and beautiful; The end result for our photos are the same and I'm thankful we chose her for our maternity photos as well as our newborn session. Hillarry was able to accommodate our pets for our maternity session as well as a few personal props and a few grandparent photos! I'm excited to share the pictures with our family and friends!I also think she's a miracle worker- she had our fussy newborn in session for over 2 hours and we barely heard a peep from him the whole time. I can’t say enough about Hillarry and how WONDERFUL she is and how beautiful her work is!! Before our little Ella was born, I totally dropped the ball and waited until the last minute to book our newborn shoot. Hillarry was so sweet and made time for our family after Ella came 10 days early. From the moment we arrived at her home, we felt at ease and very comfortable. She is a such a calming soul and I swear is a baby whisperer! Hillarry captured the most amazing pictures of our baby girl that we will cherish forever. We can wait to work with Silver Bee again!! Hillarry has been doing our pictures since our kids were babies. She is an amazing photographer and we highly recommend her. I cannot sing enough praises for Hillarry. Year over year she has perfectly captured the little personalities of my two young sons in her priceless photos. She is so good with them (and patient too!). I had researched many photographers in the Austin area before choosing Silver Bee. What drew me to Hillarry is her knack for working with kids, use of natural light, eye for scenic backgrounds, and her ability to catch us all in authentic (rather than staged) smiles and laughter. I have received numerous compliments of her work over the years. She never disappoints. My family will cherish the memories she is able to capture so beautifully for years to come! Hillary is amazing! I did a one on one mentoring session with her and learned so much. She is patient and super informative. Definitely recommend if you are in need of newborn mentoring. After finding Hillarry (Silver Bee) via google search I reached out to her to book my newborn photos of my first born. She was easy to communicate with, responded in a timely fashion and answered all my questions. When we met in person she had such a calm and soothing spirit I was willing to trust her with my 6 day old and felt comfortable, we sat in the living room area and let her do her thing without interruption and my son never cried once! After seeing my sons newborn photos I immediately booked the one year package so she could shoot him at 3mos 6mos and one year. We loved working with her so much we recommended my sister who also booked the one year package for her son AND we will be back with my second son in August 2018! If your on the fence, book Hillarry... you will not be disappointed! Hillarry has such an amazing talent at capturing the beauty of a fresh new baby. We used her for our daughter and just returned and used her again for our twins and I cannot imagine using anyone else. Our pictures are absolutely phenomenal! Memories to cherish forever! Hillarry was amazing and perfectly captured our beautiful little girl with her photos. She made the entire photo shoot very easy and accommodating. Highly recommended! Hillary was an absolute pleasure to work with! Not only is she professional but she is incredibly talented! I’m obsessed with our photos and the work was finished in about two weeks! You will not be disappointed in silver bee photography! We have been using Silver Bee Photography since we were expecting our first daughter just over three years ago. We did the maternity and first year package and have continued to use Hillarry for all of our family photos since then. We just had our second daughter and are doing the same package. The newborn photos of both of our girls are beautiful. Our 3 year old loves Hillarry too. Somehow she manages to capture amazing pictures of our very energetic toddler. I highly recommend Silver Bee Photography to anyone looking for a newborn or family photographer. I love Hillarry and her beautiful photography! My husband and I hired Hillarry for both maternity and newborn sessions for both of our sons. We would never use anyone else. As a mother herself, she understands the concerns of a new mother and the needs of a newborn baby and makes the entire experience warm and relaxing. If you hire Hillarry you are in great hands!! We had family pictures taken and Hillarry was great! Very professional and captured exactly what wanted. I love the sweet pictures and will definitely use again! We are so thankful for Hillarry and the amazing job she has done in capturing the precious milestones of our little ones. After much searching, I decided on Silver Bee Photography for the maternity and first year package for my son, which was four years ago. We are now about to finish the maternity and first year package for my daughter. We have had 9 shoots with Hillarry and have always loved the results! We cherish these photos and have had so many compliments on them. Hillarry has captured their personalities perfectly! Hillarry is calm and gentle, and has a way of making everyone feel comfortable. Lack of communication has never been an issue, and she takes the time to listen to my thoughts and ideas, incorporating them into the shoot as well. Hillarry is a special person with amazing talent and she has truly become a family friend!If you are looking for a wonderful photographer, I highly recommend Silver Bee. You won’t be disappointed!! Hillary is fantastic and has been photographing our family for over 8 years now! We were one of her first clients when she moved to Austin and she has an uncanny ability to capture our family photos no matter how hard our kids stuggle in the poses. We treasure the memories she has captured of all of us through the years. I highly recommend giving her a call and letting her work her magic for your family!! After reading several reviews for Austin photographers that do maternity and family photos we decided to go with Hillarry with Silver Bee Photography. My husband and I met Hillarry for a maternity session which she so graciously booked last minute after I made a mistake in booking the session. We absolutely loved her work, since then she has done our sons newborn session and 3 month session. She is very talented, professional, and great with kids of all ages. We are looking forward to our next session with her and will be booking several more in the future. Hillarry has been our family photographer since we found her in 2013 when my son was born. After reading all the amazing reviews we bought the Newborn picture package and it did not disappoint. She captured the best moments the first year of my son's life and we loved her so much we booked her again when my daughter was born! Hillarry is amazing. Communication was great starting from my first inquiry to receiving the USB stick with the photos. She made us feel so comfortable during the shoot, she really knows what she is doing and she was wonderful with our newborn girl. The photos exceeded our expectations. Highly recommended! After searching for a new Austin family photographer, I happened upon Silver Bee. My family and I met Hillarry for a maternity session, and I instantly took a liking to her. She was warm and patient, and very professional. Since that initial session, she's done a newborn sitting, and multiple family sessions for us. Our home is filmed with her gorgeous photos, capturing our family in the most magical ways. We get compliments all the time on her work, and friends have gone to her after seeing my photos.Hillarry is kind, professional, and works diligently to leave her customers ecstatic with their photos. I find her responsive to email outreach, which is something very important to me.I look forward to filling my home with more of Hillarry's photos and would recommend her if you're looking for quality photos and the chance to work with an amazing photographer. Thanks for everything Hillarry!! Hillarry at Silver Bee Photography is an excellent photographer that has captured the most precious moments for my 2 boys and family! We love her and know we will always come away with amazing pictures. I trust her to help me preserve these special times in our life! Artistic and beautifully done pictures that are great quality. Packages are fair in price and many options to select from.